I gotta go GKMC here. I've been listening to Kendrick since Overly Dedicated and his catalog is basically all storytelling in different forms. 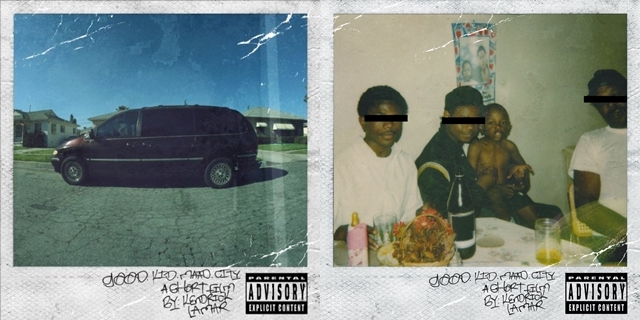 I have to say that both are great projects, but if forced to choose, I will go with GKMC. 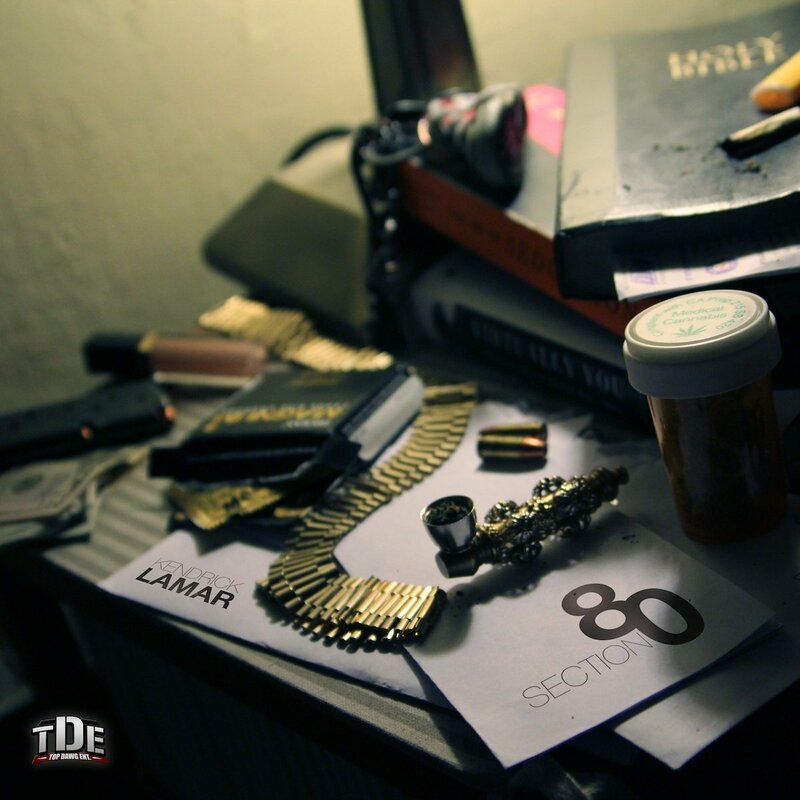 It's a great album all around and more impressive slightly than Section.80 which is great in itself. Good Kid, m.A.A.d City. All the way. Just a beautiful album. Inside and out. Definitely did the West Coast and Outkast influence justice. I think this is the best album of this generation in rap. Love the sense of freedoms and expression. The instruments and post song interludes helping one track flow into the other. Can't even forget about the man himself, K Dot for delivering on a great level lyrically. Just another timeless album. In any form of music, not just rap. In my personal opinion I would take GKMC over Section.80. The skits at the ends of each song give us a little Easter egg hunt to find the correct order of the story and that I liked. This could be Kendrick's best work and it's pretty hard to top it. No matter whether you like it or not, Kendrick is definitely a leader of the new school and he's earned that right off of this album. We could do without the bonus tracks if we're being real. The album is well polished and gets little skips from me. While on Section.80, you get more of the older sound, the fast pace Rigamortus, some live instruments and nice features. It's hard to find one song that you can skip here with enough listens, it doesn't matter what song you hit you're automatically singing along to a hook. Poe Man's Dreams for me is my personal favorite off this album. It's about the simplicity on this album, that's where he shines. Soon we're going to see if both of these albums last the test of time, at this rate GMKC seems like it can but will Section.80? Both albums are classics. In fact, I can't choose one over the other. Section.80 is so concise and conscious. Tammy's Song is so beautiful to me. Poe Man's Dreams is a dope track. Blow My High is an all time classic. GKMC, on the other hand, is the most beautifully crafted mainstream album since maybe Illmatic. Every song is part of the story, which is Kendrick's audio biography. Both are great man, it's almost impossible to choose. I honestly have to choose Section.80 man. It was the album that truly introduced me to Kendrick officially and it is flawless to me. GKMC is a great album as well, some would say a classic and I can't really argue against that. However, the focus and the music of Section.80 is just a bit more glorious as heard on "Hol' Up", "Kush and Corinthians", and of course "Poe Man Dreams". GKMC boasts classics like "Money Trees", "Sing About Me, I'm Dying Of Thirst" and "Black Boy Fly", so for most of the folks choosing GKMC, it's understandable. Personally, the production and feel and lyricism on Section.80 takes it for me. Both have rights to be called a classic, but Section.80 definitely has it. What about you? What's your choice? Let us know in the comments below.